The Philippines’ chief of police has said that cops should carry their guns at all times, even when off duty and in civilian clothes. 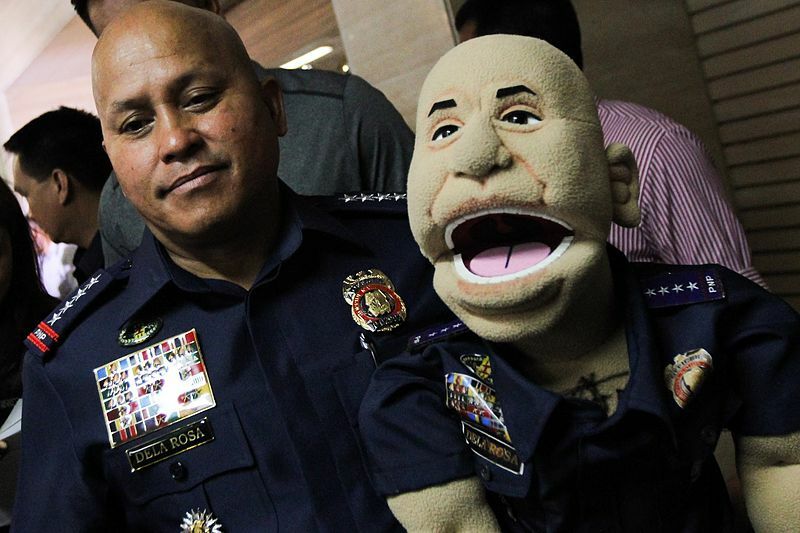 Philippine National Police (PNP) Director General Ronald ‘Bato’ dela Rosa made the remarks when he noticed some officers at Quezon City’s police headquarters in Camp Karingal had empty holsters. As law enforcers, Dela Rosa said they were mandated to respond to any situation 24 hours a day and seven days a week. “Whether you like it or not, you are a police officer every minute of the day, every hour of the day,” he said. The police chief also urged officers involved in illegal activities to mend their ways in time for the Lenten season — suggesting that anyone involved in drugs should get themselves crucified. “You volunteer yourselves to be crucified on the cross in Pampanga,” he said, referring to the province known for staging reenactments of the crucifixion on Good Friday. Dela Rosa’s advice about remaining armed at all times comes after the president warned this week of a resurgence of communist New People’s Army (NPA) hit squads. Dela Rosa said the NPA had stepped up offensives after the president scrapped peace talks. A group of retired officers has since been deployed to advise younger cops how to deal with the NPA’s Special Partisan Unit (Sparu). According to the PNP, the Sparu killed 56 police officers, soldiers and civilians in 2017 while nine others have been assassinated this year. A majority of those killed were in Davao region with 25, followed by 13 in Bicol and seven in Caraga. “At the beach with your family? Carry your gun! At the gym? Carry your gun! Bato only wants more poor people dead. Cops having guns at all times would facilitate that. Drug war chief: We don’t need body cameras … God is watching us!